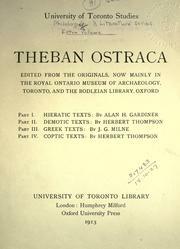 1 edition of Theban ostraca found in the catalog. Add another edition? 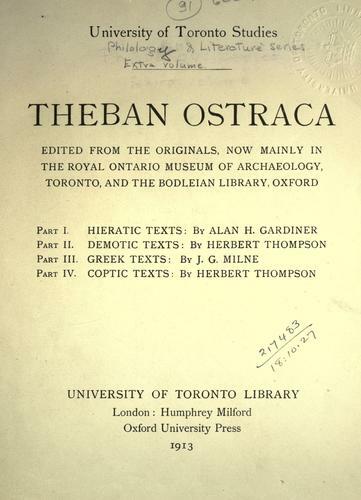 Edited from the originals, now mainly in the Royal Ontario Museum of Archaeology, Toronto, and the Bodleian Library, Oxford. Published 1913 by University Library in [Toronto] .